The Wynford Group is well known for conducting comprehensive compensation surveys for Construction and EPCM and other related industry sectors. Using our knowledge of the market and input from major companies in the construction industry, we have developed this survey to provide you with the critical information you need to attract and retain critical employees. COMPASS custom report tool is a flexible analysis tool that allows you to produce market comparison reports specific to your organization's needs and comparisons to your specific peer group. We are excited to continue our arrangements through our partnership with FMI Compensation. Receive a 20% introductory discount on FMI Engineering or	Construction Professional Survey for Canadian based companies as a first time participant. FMI Compensation has spent the last 15 years providing the American engineering and construction industry with current and meaningful compensation data as well as consulting services in all areas of compensation. 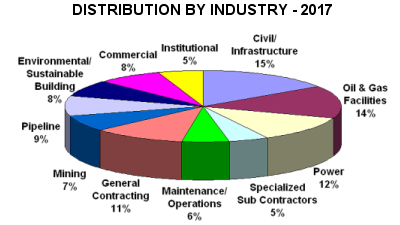 Discover their U.S. Construction Professional Survey for more information.